The full conference schedule is available online. All Delegates who register by Friday 26 April 2019 12:00 will be published in the Delegates List. You can still register after that date, but unfortunately your name won’t appear on this wonderfully useful piece of paper. Arrival from the airport: We recommend that you take a taxi from the airport. The fare from the airport to the venue, the Royal Orchid Sheraton Hotel and Towers, is approximately THB 500 (€ 15). Due to traffic jams in Bangkok the costs and the duration of the travel (1-2 hours) can vary. 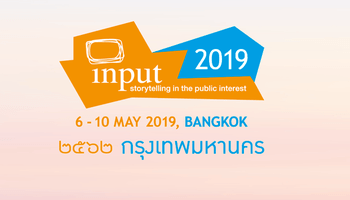 For those of you who arrive earlier, please note that due to the royal coronation festivities more than 30 roads in Bangkok will be closed from 2 May to 6 May 2019 (the area of the Conference Hotel is not directly involved). Copyright © 2016 INPUT. All rights reserved.